Congratulations Harry, just 8 months with Mountain Kingdoms and you’ve become a summiteer! 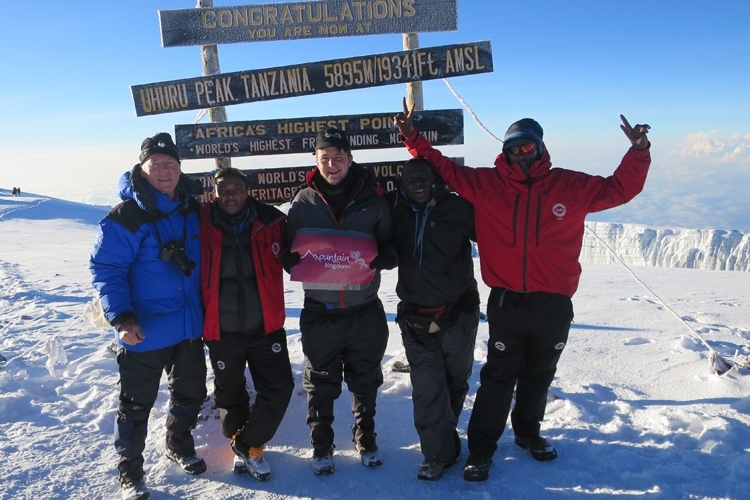 In February 2015, Mountain Kingdoms Administration Assistant, Harry, travelled to Tanzania to join our Summits of Kilimanjaro and Mt Meru trek. We sat down with Harry to ask him about his experience on Africa's greatest trekking peak. So let’s start from the very beginning, what initially inspired you to climb Kilimanjaro? I initially saw Kilimanjaro as a challenge, something that would be able to push me mentally and physically, the more I read about it the more I wanted to go. It also helped that my Grandfather had made the ascent in his youth and I was looking to follow in his footsteps. The scenery as well was something that inspired me to go. How did you prepare for your Kilimanjaro trek in the months/weeks leading up to your trip? Ate a lot of bakery goods. No, in all seriousness I did what I would be doing on trek, I walked. I increased my cardio activity, regularly going to the gym and adding in walks as much as I could. Have you got any first-hand advice you’d like to share for those looking to go on strenuous treks or trekking peaks? "Pole-pole", taking everything very slowly. I was also told by one of my colleagues at Mountain Kingdoms to drink and eat as much as I could to keep hydrated. I believe this was a key factor in ensuring that I had little, if any, signs of altitude sickness. How did you feel once you’d made it to the summit? In the final few steps of reaching the summit, I felt very tired but determined to reach it. The sign began to loom and a huge feeling of emotion came across me, I was happy, relieved and a little cold. I believe the feeling was shared with all my fellow summiteers and we all had a great sense of achievement. All of our efforts in the last few days of trekking had come together and created a huge beam of happiness between us all, something which I will cherish for a long time! What kept you motivated when you were on a particularly difficult stretch of the trek? Our guides were excellent at motivating us, the phrase "just around the corner" was used a lot. This sense of humour from the guides was infectious keeping the morale of the group high. I cannot thank Raj, Milton, Winford and the porters enough for their efforts which ultimately helped us reach the top. What is one luxury travel item/home comfort you always take away with you? L'Oreal hairspray is a must, because let’s be honest people, we are all worth it. I digress, moisturiser to get your face and feet in tip top shape. A camera is something that is essential in capturing memories. Oh and do not forget aloe vera loo roll! Now that you’ve accomplished Africa’s highest peak, Mount Kilimanjaro 5,895m/19,340ft, have you got the urge to achieve the summits of other mighty mountains or extreme treks? Definitely, Mount Kilimanjaro and Meru were a challenge but it is onwards and upwards from here on. The hard bit is deciding where to attempt next! Again well done Harry, we hope to hear more from you on future adventures, perhaps you’ll be tempted to break the 20,000ft/6,000m mark on a Mera Peak Summit Trek next?